Vice-Chairman of the Tal Shiar. Secretary of the War Plans Council. 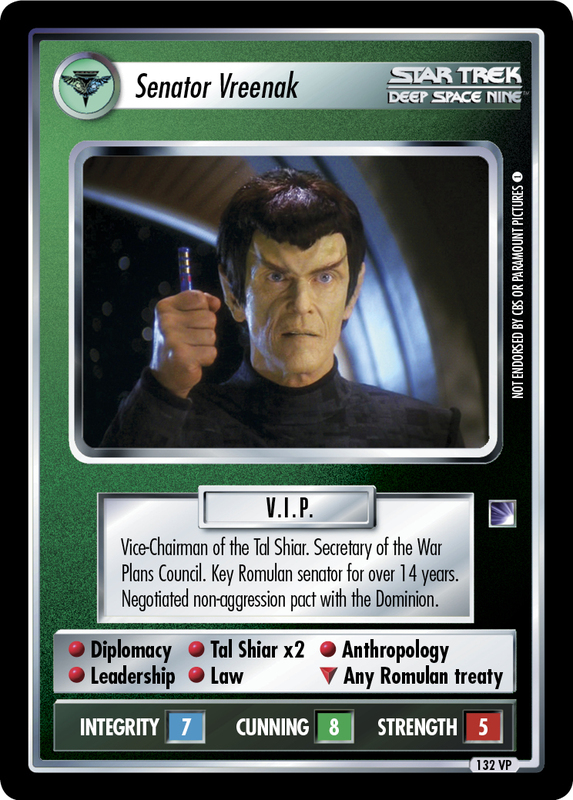 Key Romulan senator for over 14 years. Negotiated the non-aggression pact with the Dominion.